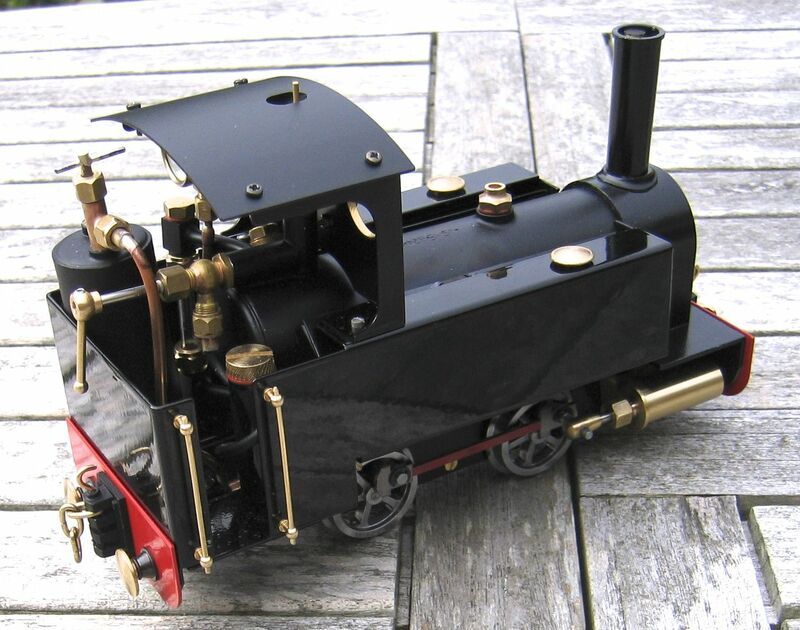 There are many RWM Steam locomotives, Janets and De Wintons in the UK, of course, but also in Australia, France, Germany, Japan, Spain, Switzerland, USA. 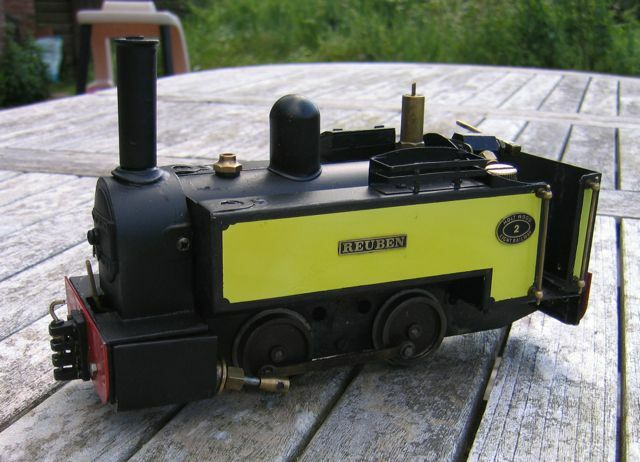 Not all of these locomotives are standard. In fact there are so many options available, plus various extras, that there are hardly two the same. It occurred to me (better late than never!) that a gallery of models might be an attractive idea, so here is a start. This 45mm Salem has been specially sprayed BMC Apricot for a customer in France. It makes quite a change and I rather like the satin finish too! 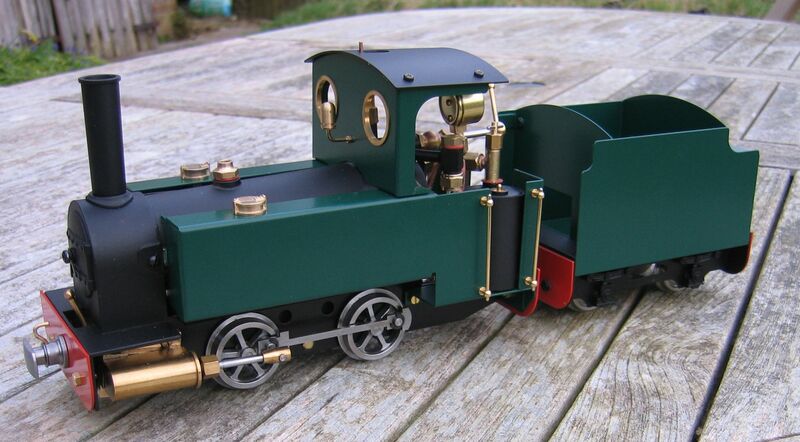 Janet with optional cab and tender in the new standard powder-coat green. 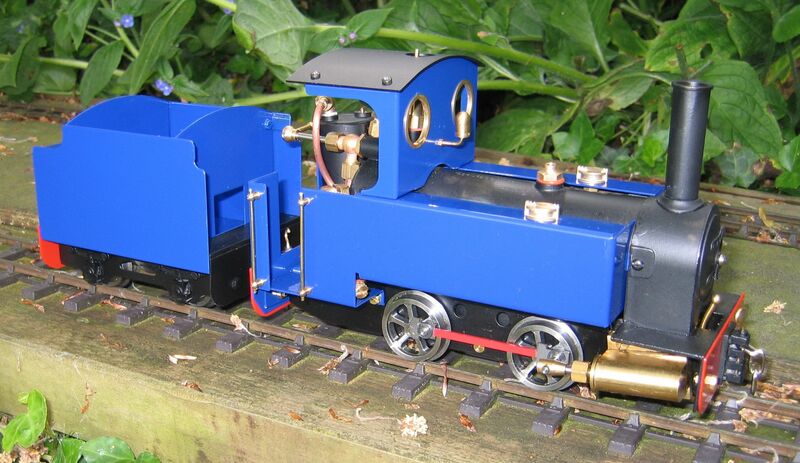 Fitted with the new cast brass water fillers and steel centre buffers. 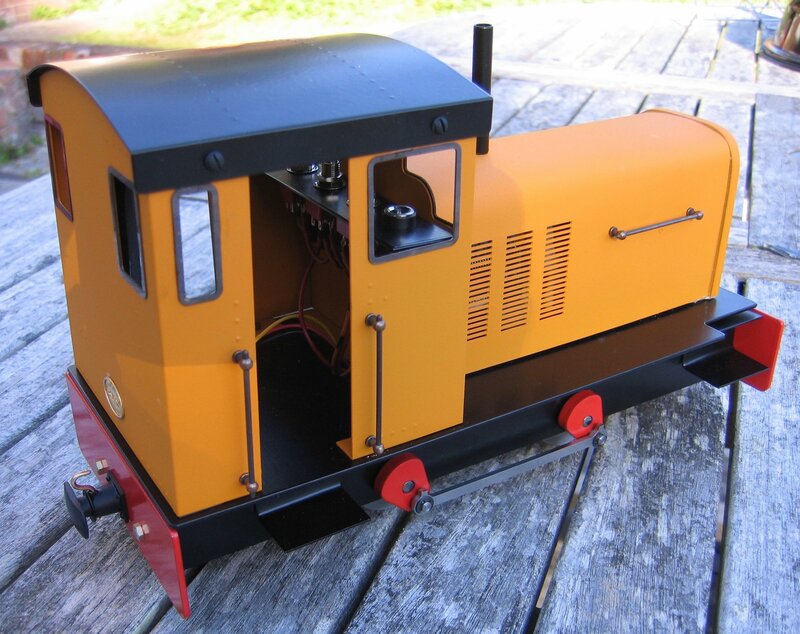 It has a small gas tank and a Summerlands Chuffer. This was for a customer in Wales. 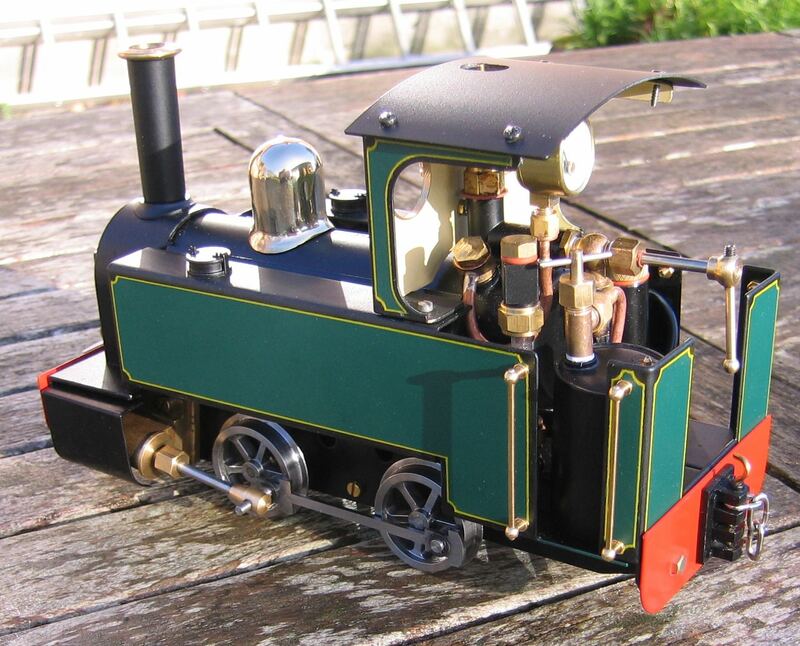 This Janet was painted and lined by Tony Wilmore (Rhos Helyg Locoworks) for a customer in Spain. The livery was chosen to reflect the nearby Train Jaune which runs along the Spain/France/Andorra border. It also has specially prepared red frames and wheel centres. It has the new water fillers and multi-height couplings. 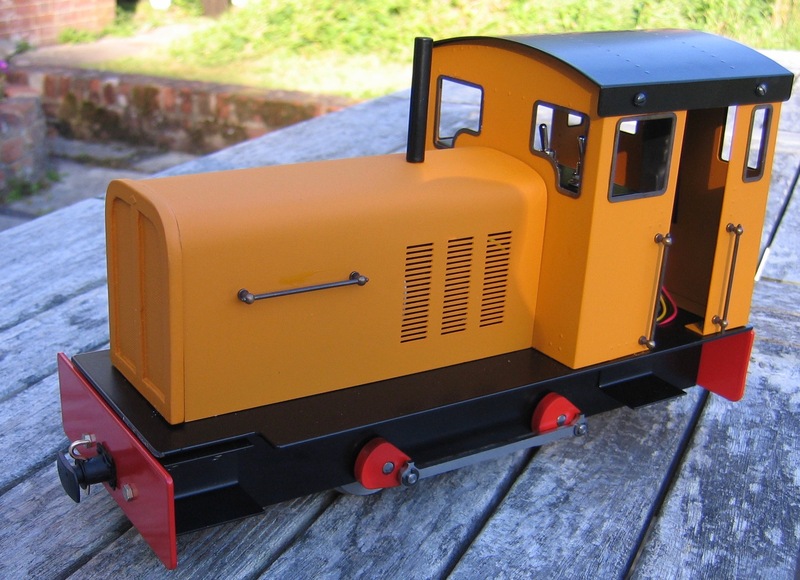 It has the large gas tank and, of course, a Summerlands Chuffer. 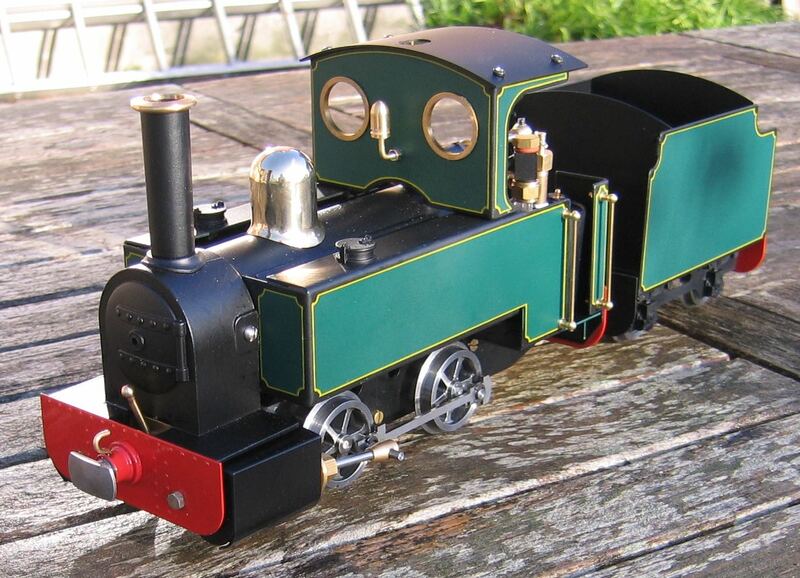 Having seen the photos of the green Janet and tender painted and lined by Tony Willmore and featured below, the owner of Carlit decided he would like a tender to match. 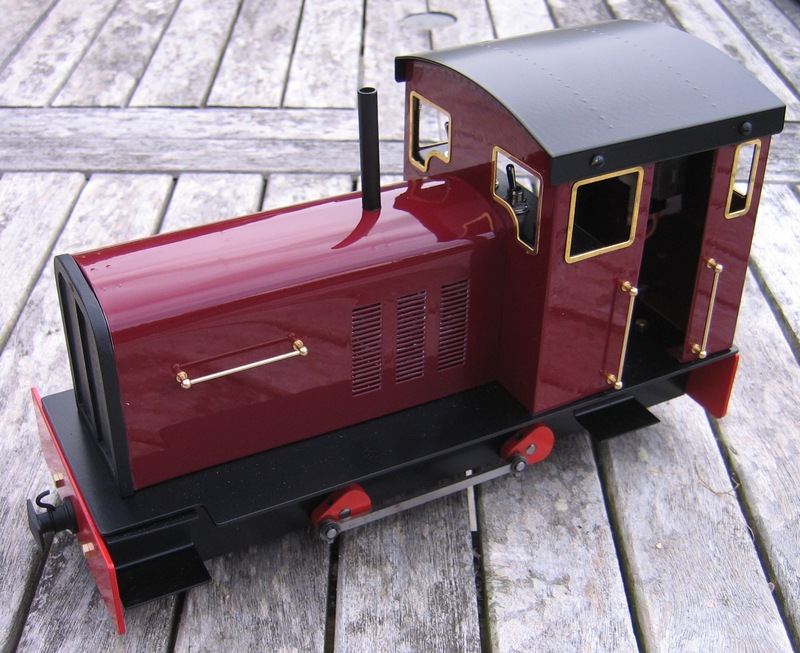 He also had an open-rear cab painted by Tony too. I'm not in a position to see them together but I'm sure they look super. 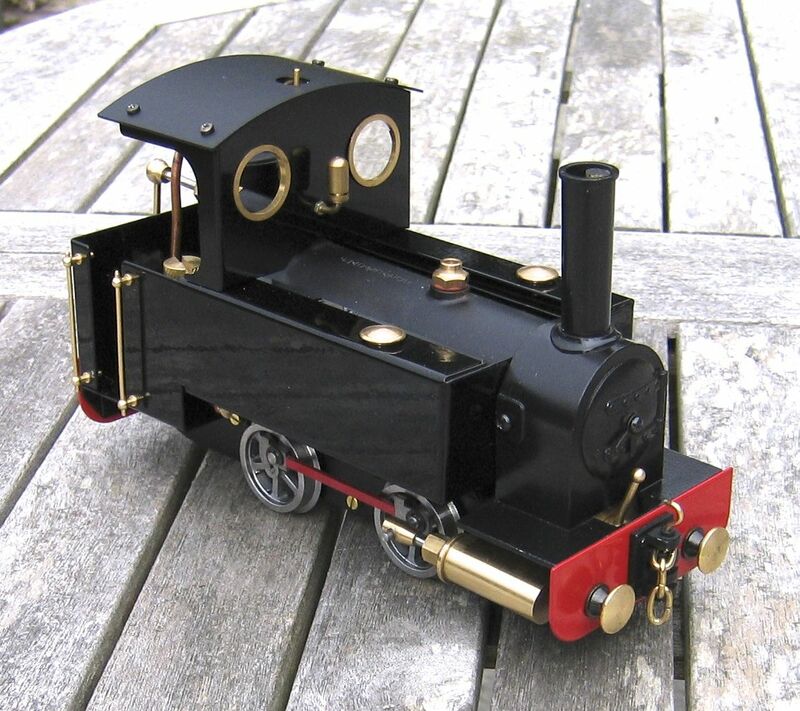 These two images are of a black Janet which the owner in the USA required to be fairly glossy. 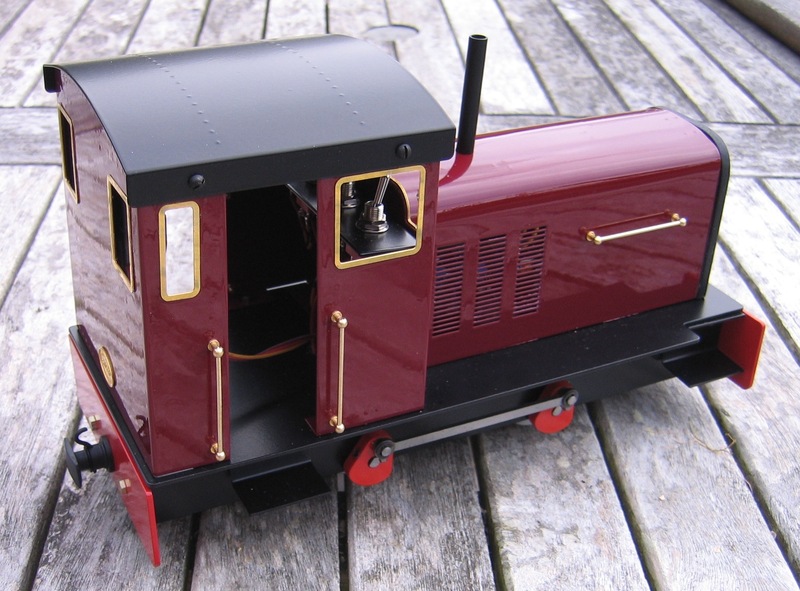 It, too, has the optional cab and multi-heigh couplings. 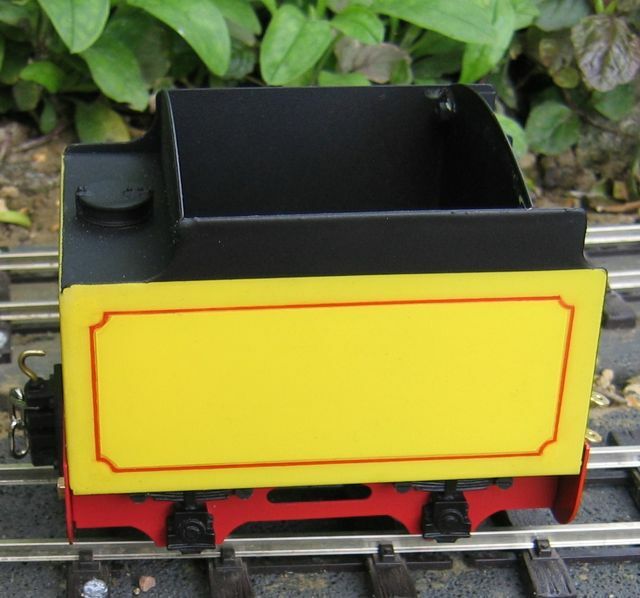 The Summerlands Chuffer can just be seen in the chimney. Yes, life does get busy at RWM Steam! This lovely line-up is a batch of 6 De Wintons no two of which are quite the same. Four have low cabs and two the optional higher cab. 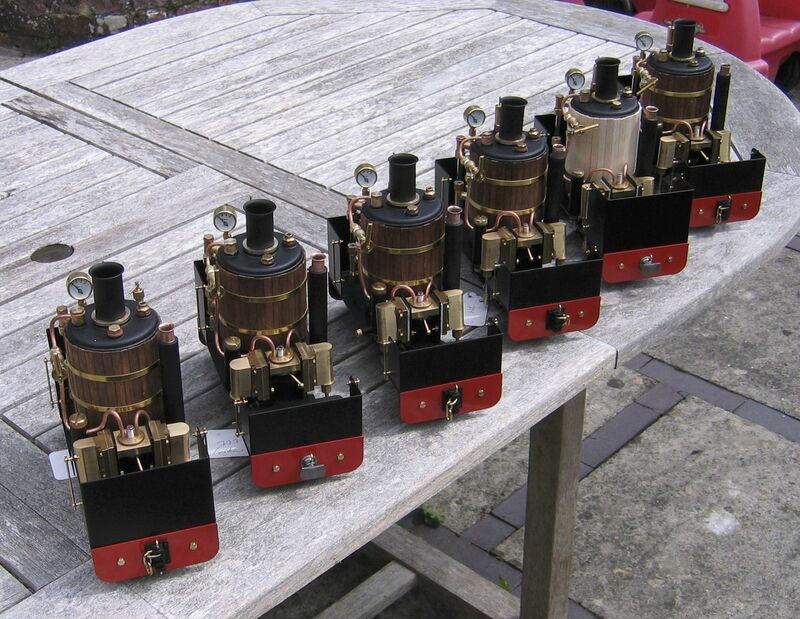 All have Summerlands Chuffers but different couplings are on view. These all now reside in different parts of the World from Somerset to Australia. 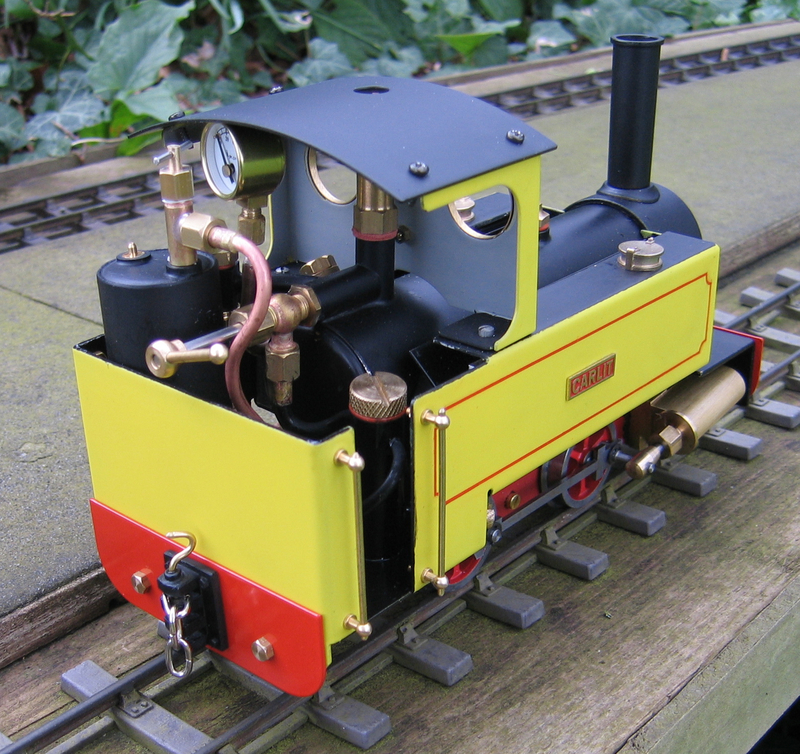 Another Janet, again painted and lined by Tony Willmore this time in Talyllyn livery. 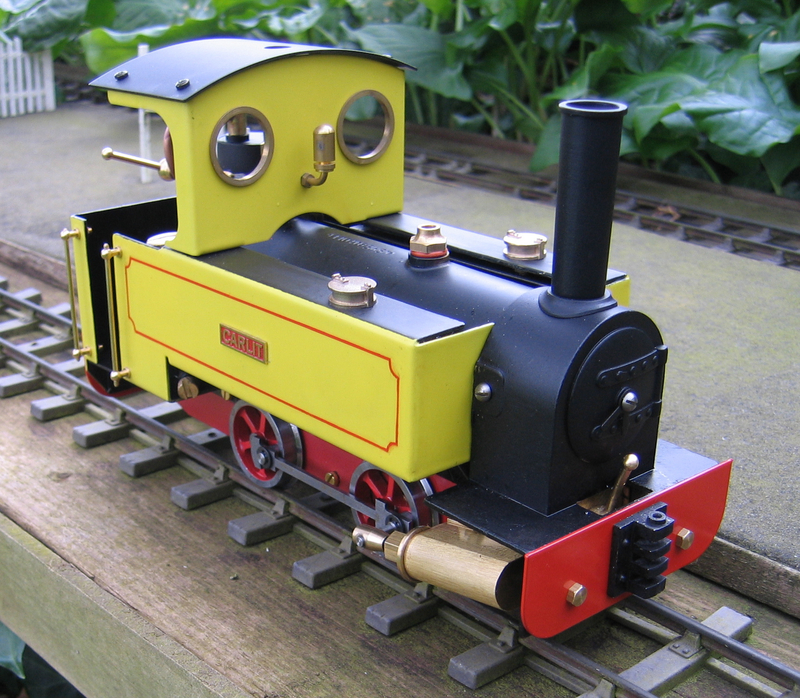 This loco has optional cab, tender, red coupling rods, black cast water fillers, darkened wheels and, of course, Summerlands Chuffer. 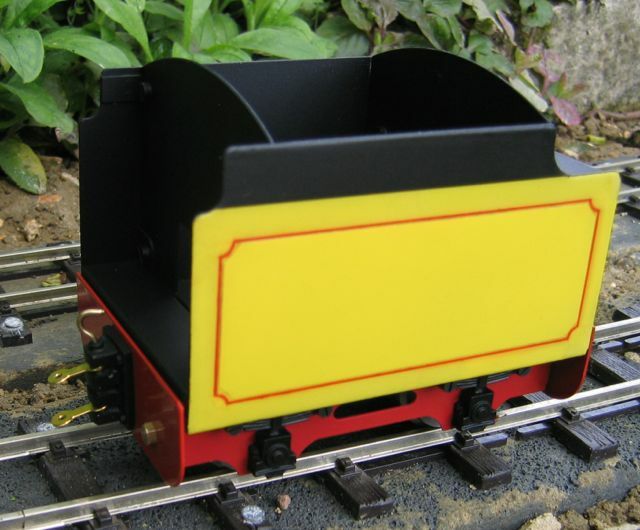 It also has the optional cut away cab rear to allow access to the tender. Here we have another Janet beautifully lined by Tony Willmore. 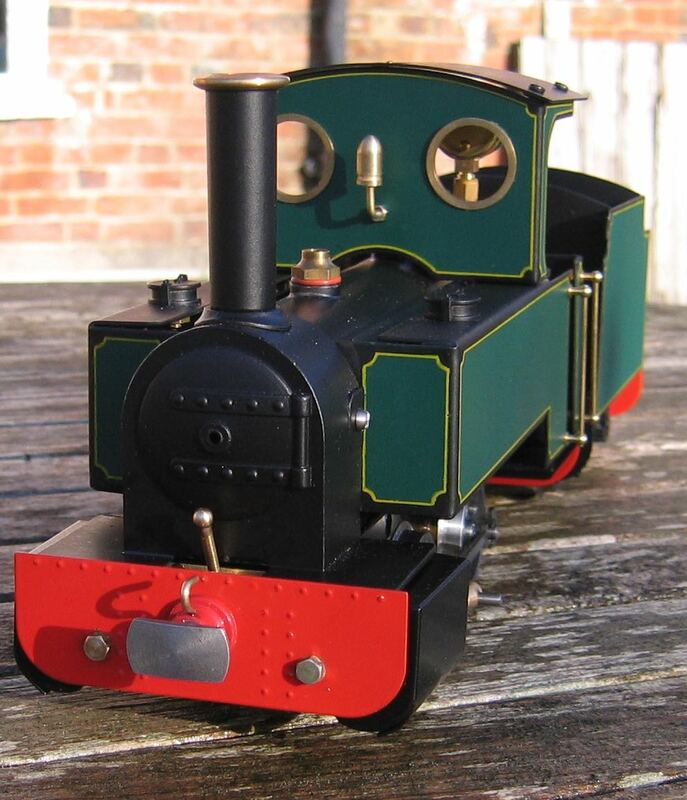 It is in the standard powder-coated green but, in addition to the lining, Tony has painted the tank tops black. 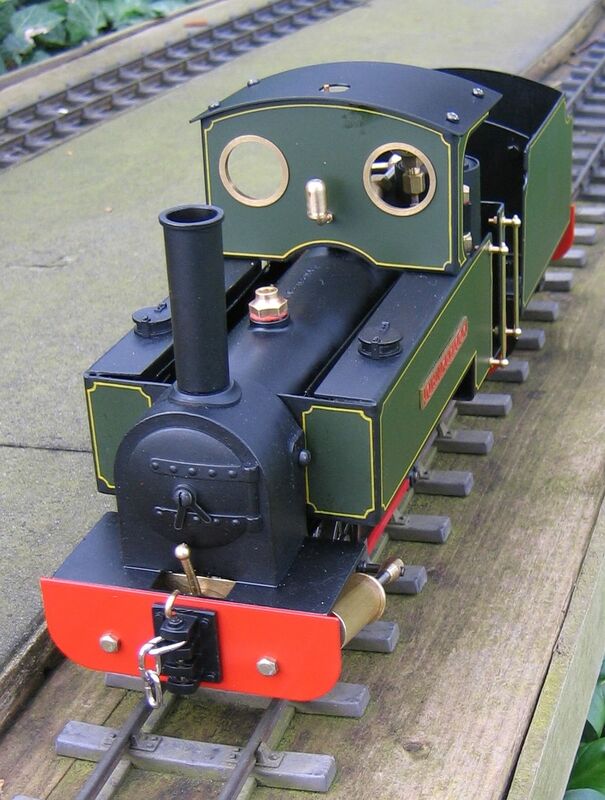 It's perhaps not obvious from the photos but this is a 45mm gauge loco and tender featuring most of the options currently available for Janets. It's a shame I forgot to put on the dome for the third photo. 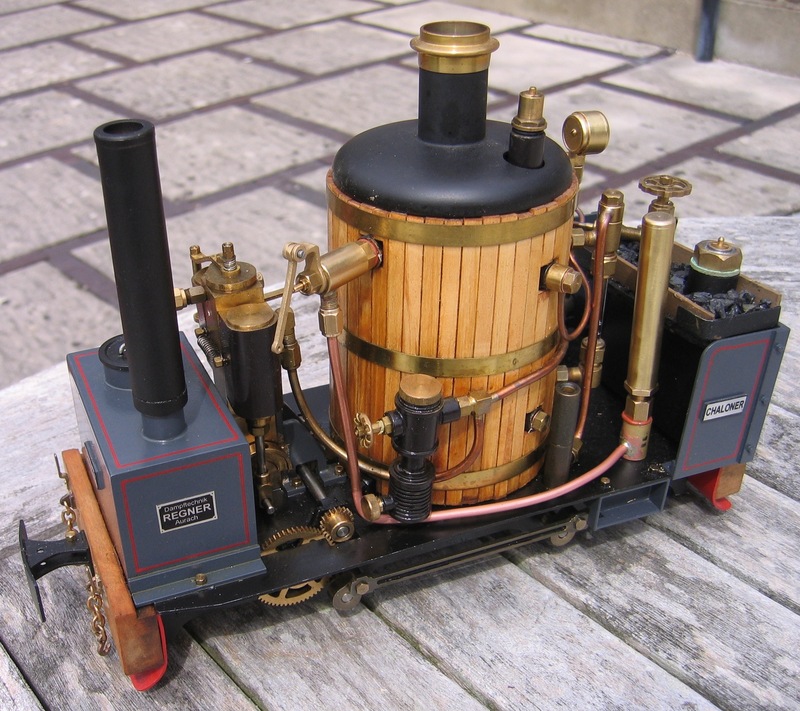 It's a bit late now as this loco now resides in Switzerland! Now, as they say, for something completely different! 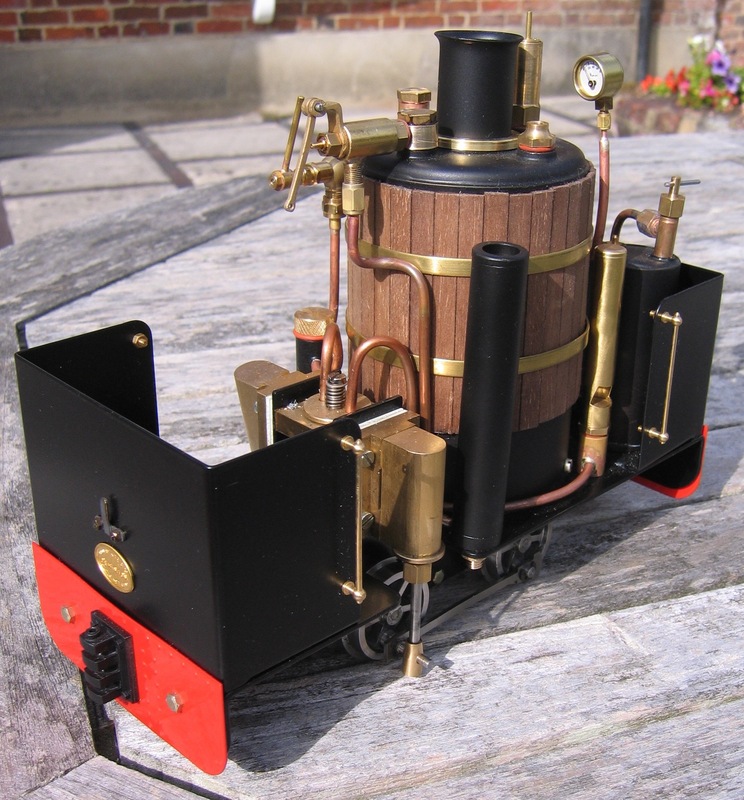 This is an elderly Mamod of mine that has been upgraded over quite a few years - well before I became RWM Steam. When my grandson was born it seemed natural to name it after him - Reuben. 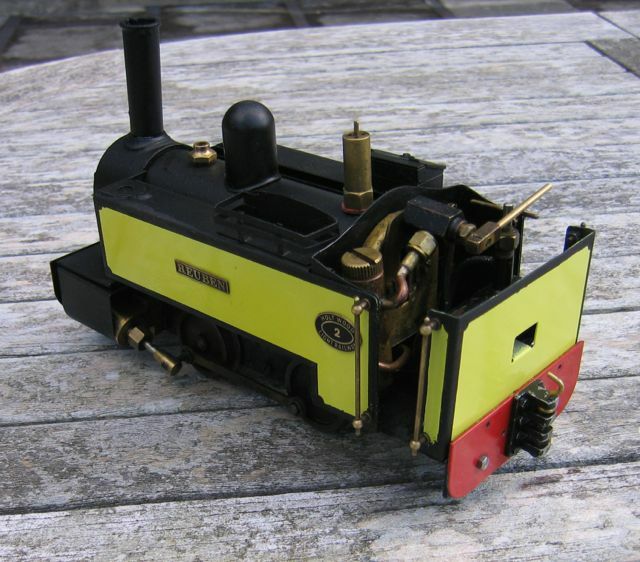 He is now 7 and the loco was getting rather scruffy so a few weeks ago I asked him what colour he would like it to be. I didn't expect him to say yellow! I used enamel spray paint and am rather pleased with the result. I can now offer Salems in any colour. These will be sprayed rather than powder-coated so it all depends on the availability of suitable paint. These two images show one recently completed in maroon. I like this colour so much I am considering offering it as a standard colour in the next batch. These two images show recent commisions. 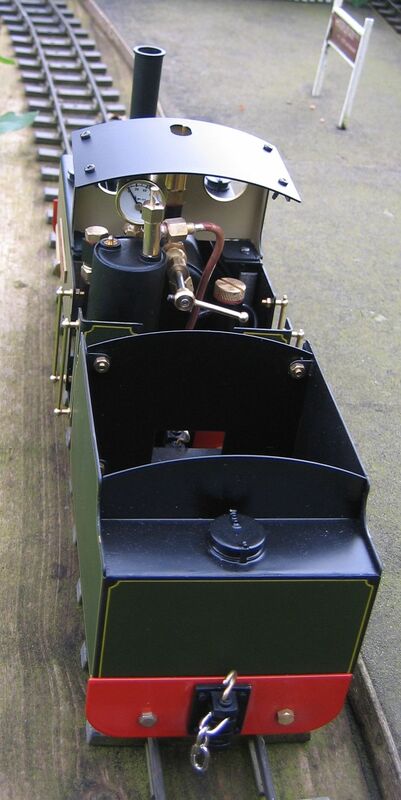 The Regner Chaloner has been fitted with a Regner whistle (seen on the rear footplate), 1/2" pressure gauge and a Summerlands Chuffer. 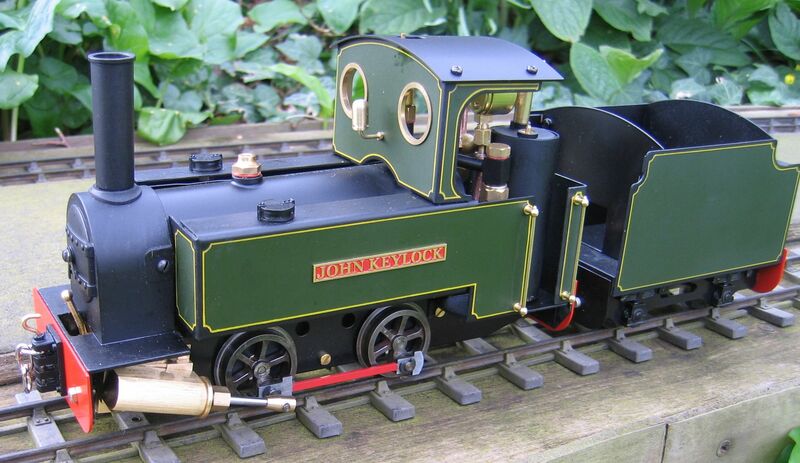 The De Winton has been similarly fitted with a Regner whislte, 1/2" pressure gauge and lamp irons. 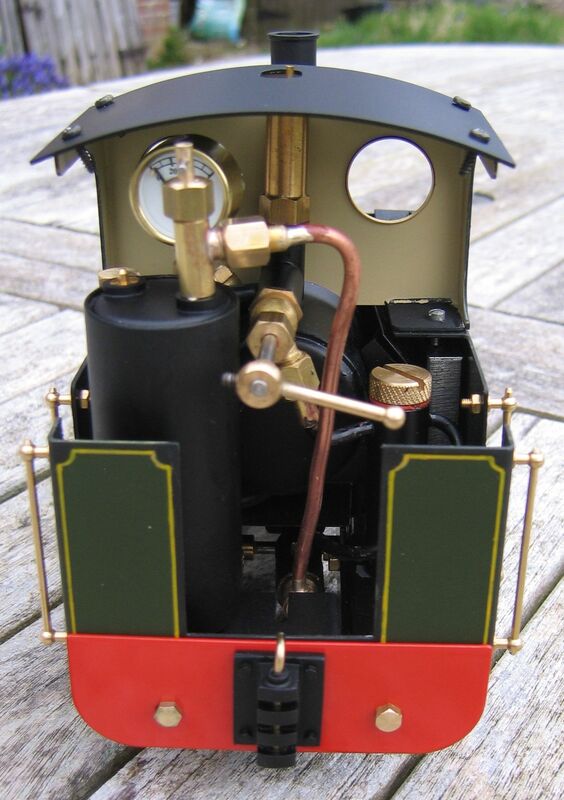 The brass whistle can be seen sitting on the rear footplate between the boiler and the gas tank. These are just a few of the many locomotives that have been built and dispatched over the past few months. I will add more as time progresses.